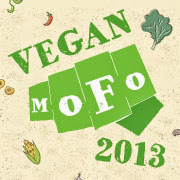 It's day three of vegan Mofo and I am keeping the chutney theme alive! 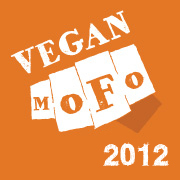 Check out the amazing vegans from the US and all over the world who are taking part this year. 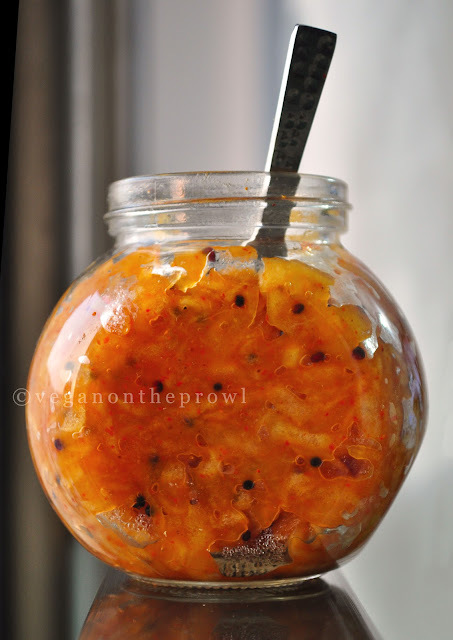 Thokku (toh-kuh) is the south Indian way of describing a type of chutney. A thokku is usually made by grating and cooking a vegetable to remove the water out of it and then adding the flavouring after it is cooked. South Indian chutneys are usually coconut heavy. A thokku will not involve coconut unlike a thogayal (tho-hail) which is another type of chutney made with mostly raw vegetables. The spiciness usually comes from red chilli powder as opposed to dried red chillies in a thogayal. And that is your Tamil lesson for the day! Apple thokku is something my grandma makes pretty often. You have to be really lucky to be able to witness the greatness of your grandmothers in the kitchen. I still remember helping my great grandmother in the kitchen. She is too old to cook now, but the memories of her wrinkly hands making perfectly symmetrical murukkus is something I won't forget. India is lucky to have apples growing in the north of the country. When those apples are not in season, we get the Washington, Granny Smith and Fuji apples too. Unfortunately the vendors are spraying or coating the apples with wax and sometimes thin aluminium foil to make them look shiny and "appealing". I hate peeling my fruits and vegetables, but I certainly don't want to eat wax. 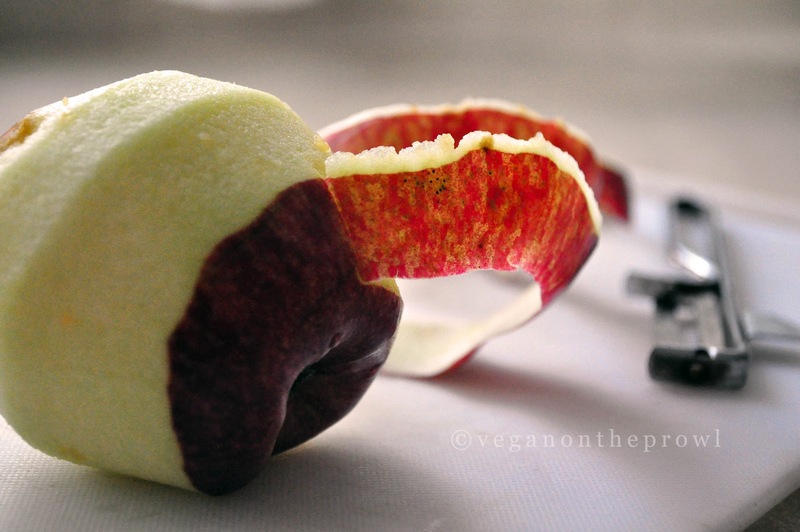 To check if your apple has been "waxed" take the non-sharp end of a knife and scrape your apple. If you find a creamy off-white substance coming off the skin it has something on it. Try it and tell me what you find. I also am not an raw apple person. I know I'm killing most of the nutrition from it when I cook an apple, but I'd eat an apple pie any day over a slice of apple. This thokku is very simple to make and takes about 15 minutes from start to finish. I have made this recipe oil-free so it will not stay as long as it normally would otherwise. The sweetness of the cooked apple and the hot hit from the chilli powder is a very interesting flavour. I initially didn't like the idea of mixing fruit with something spicy, but as you grow older you tend to be a little more adventurous. Grate the apples with a medium holed grater. Heat a small pan and add the mustard seeds. When they begin to splutter, add the asafoetida. Add the apples and let it cook for about 6-8 minutes. Stir it around occasionally. Once the apples are soft and the water has drained off, add the salt, chilli powder and jaggery. Keep it for a minute more and then take it off the flame. Add the lime juice and store in a jar in the refrigerator. This apple thokku could be a replacement for a pickle. It can be used as an accompaniment with some roti or a rice dish or even on top of a slice of bread or with dosa. I am loving your theme, so much! It's getting into apple season here, which lasts for most of the year, so I'll be sure to try this. And I gasped that you know your great-grandmother. How lucky you are!! Thank you! And you my friend, are an awesome photographer yourself! so interesting...I think we all need to cook spicy stuff with fruits every now and then! I am looking forward to more chutneys and thokkus from you! thanks so much for this. I am going to try it today wiht organic apples (so I wont peel them). Comment - not sure which city you are in, but you can find organic produce there and then you wont have to peel the fruit/vegetable. If you let me know where you are, I can hook you up with stores (of course you might know them already). Thank you for stopping by and so glad you're going to try this recipe. Both my grannies would be so happy! I would use about a teaspoon of oil for two apples, but that might be less than what my grannies would use. For the refrigerator part, if you live are in a cold climate, it should stay. Hi again.. I just finished making it (came out GREAT!). THanks so much for this SIMPLE recipe. I was motivated to make it cause I had all the ingredients (organic at that!) at home and borrowed a lime from a neighbor and MAINLY cause the recipe was so simple . -I added a tsp of oil to the pan before adding mustard seeds. Rithika.. will you mind if I posted a couple of my pictures on my facebook page for this recipe and link your recipe blog to it with credits? :) yay! Absolutely, please go ahead and share it! Loooove the Tamil lesson for the day, thx!! This is way more exciting than making a DIY applesauce. Grandmothers are THE BEST. Mine aren't alive anymore, but I think about them all the time. :) Thank you so much!! Grandmothers have so much to teach. It never ends! I love it! 'Pinned' it to make on a bad weather day. :) BTW maybe you should add a pin-it button to your posts? :) Just did it! Thank you! :) Divyaaaa! So happy you liked it! This looks so very delicious!!!! Thanks for posting the recipe!!! I'm looking so forward to seeing the rest of your posts (I've even subscribed).